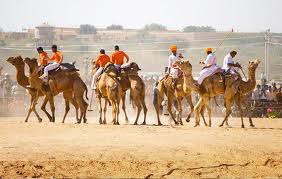 Desert Kite Festival in Jodhpur Rajasthan will Celebrated on 12 January to 15 january. Desert Kite Festival in Rajasthan takes place in the Jodhpur Polo Ground. The huge ground is an apt place to hold this mega event in Rajasthan. 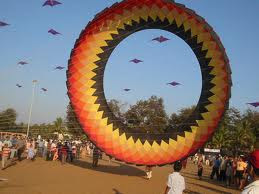 The visitors can take delight in the various types of kites that fly in the air in the different shapes and sizes. When these kites fly high up in the air they simply add to the beauty of the clear skies and thus make for a wonderful experience for the visitors who take pleasure in watching the colorful kites fly high up in the sky. Color, gaiety, and enthusiasm are the main attributes of this festival.he popularity of Desert Kite Festival is not confined to Jodhpur. Presently, the festival is celebrated with same amount of enthusiasm in Jaipur as well. This festival is usually celebrated in the month of January. The tentative date of the celebration is 14th century on the eve of Makar Sankranti. This day also has a lot of religious significance according to the Hindu religious beliefs. The festival also hosts a number of cultural programs of dancing and singing. This adds to the attraction of the Desert Kite Festival. There are a number of tours available to Rajasthan. A lot of them include a visit to the Desert Kite Festival. Book one of those tours that suit your budget and go for a thoroughly enjoyable experience. It is one of those tours that are not only embedded with fun and excitement but a lot of enriching value as well.Air Force helicopters also release a large number of kites from above. Hundreds of schoolchildren also release balloons. During the kite festival, the sky gets filled up with kites of various designs and colors. There is a lot of enthusiasm among the people also regarding this festival. It reaches the highest point when a kite gets cut. Desert Kite Festival in Rajasthan takes place in the Jodhpur Polo Ground. The huge ground is an apt place to hold this mega event in Rajasthan. 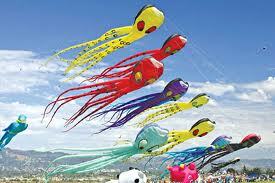 The visitors can take delight in the various types of kites that fly in the air in the different shapes and sizes. When these kites fly high up in the air they simply add to the beauty of the clear skies and thus make for a wonderful experience for the visitors who take pleasure in watching the colorful kites fly high up in the sky. Color, gaiety, and enthusiasm are the main attributes of this festival. 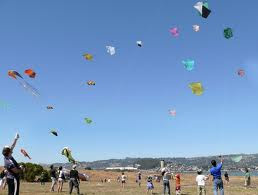 Desert Kite Festival is also celebrated with equal zeal and enthusiasm in Jaipur just as it is celebrated in Jodhpur. This wonderful festival attracts a large number of tourists from different parts of the country as well as world to come and be a part of this lively festival. Desert Kite Festival in Rajasthan is celebrated in the month of January and generally takes place on January 14th or on the Makar Sakranti which is considered to be an auspicious day in the Hindu almanac. There are also a lot of cultural programs that take place in this festival to mark the exhilaration that exudes in this festival such as dancing and singing. The Most Creative Kite Designer prize went to George Peters of the USA and to Asghar Hussain Baylim of Jodhpur. Paul Thody of England was adjudged The Best Display Flier and the Desert Kite Team from Belgium the Best Team. At the Prize giving ceremony, presided over by Mah. Gaj Singh and the Chief of the Air Force in Jodhpur, Air Marshal Krishnaswamy, Mr. Ajay Prakash - Chief Executive of Nomad Travels and the organiser of the Festival spoke of his dreams for the Festival - an annual splash of colour, listed by the Department of Tourism, Govt. of India in its Festival Calendar circulated worldwide, drawing increasing numbers of fliers and tourists to participate in this joyous event. The theme of the Festival, " One Sky - One World " and its relevence today in an age of confrontation; only the sky is without borders and kite flying a sport without boundaries. Scott Skinner, the President of the Drachen foundation in Seattle, a non-profit organization devoted to the spread of kites and kite information throughout the world, spoke of the importance of integrating the fighter kite tradition and manjha with the display and static kites favoured by most Westerners. Scott and Ali Fujino, the Administrator of the Foundation and an ex staffer of the Smithsonian Institution have carried back a wealth of Indian kites, Charkhis, Manjha and kite making tools to include in their permanent display at the Foundation. Scott’s closing speech was a paen to the universal appeal of kites and the welcome addition of India to the global kite flying community.